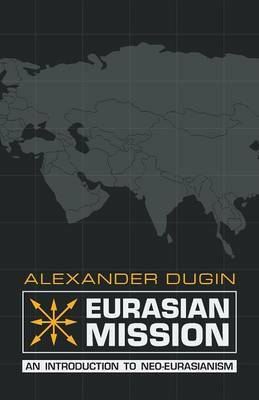 According to Alexander Dugin, the twenty-first century will be defined by the conflict between Eurasianists and Atlanticists. The Eurasianists defend the need for every people and culture on Earth to be allowed to develop in its own way, free of interference, and in accordance with their own particular values. Eurasianists thus stand for tradition and for the blossoming variety of cultures, and a world in which no single power holds sway over all the others. Opposing them are the Atlanticists. They stand for ultra-liberalism in both economics and values, stopping at nothing to expand their influence to every corner of the globe, unleashing war, terror, and injustice on all who oppose them, both at home and abroad. This camp is represented by the United States and its allies around the world, who seek to maintain America's unipolar hegemony over the Earth. The Eurasianists believe that only a strong Russia, working together with all those who oppose Atlanticism worldwide, can stop them and bring about the multipolar world they desire. This book introduces their basic ideas. Eurasianism is on the rise in Russia today, and the Kremlin's geopolitical policies are largely based on its tenets, as has been acknowledged by Vladimir Putin himself. It is reshaping Russia's geopolitics, and its influence is already changing the course of world history. "Essentially, the unipolar world is simply a means of justifying dictatorship over people and countries. [...] I think that we need a new version of interdependence. [...] This is particularly relevant given the strengthening and growth of certain regions on the planet, which process objectively requires institutionalization of such new poles, creating powerful regional organizations and developing rules for their interaction. Cooperation between these centers would seriously add to the stability of global security, policy and economy." - Vladimir Putin, Valdai Club, October 24, 2014 Alexander Dugin (b. 1962) is one of the best-known writers and political commentators in post-Soviet Russia, having been active in politics there since the 1980s. In addition to the many books he has authored on political, philosophical, and spiritual topics, he is the leader of the International Eurasia Movement, which he founded. For more than a decade, he has been an advisor to Vladimir Putin and the Kremlin on geopolitical matters. Arktos published his book, The Fourth Political Theory, in 2012, and Putin vs Putin: Vladimir Putin Viewed from the Right in 2014.